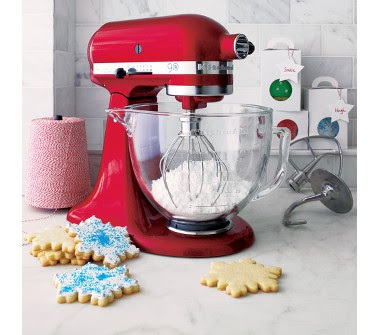 If you don't have a stand mixer, get one with the glass bowl. I don't know any of the cons to having the glass bowl, but I sure do wish I had one. I've posted about it before, but I just got another email, this time from Crate and Barrel, I think last time it was Bed, Bath and Beyond. Anyway, I think the glass bowl is beyond cool...I hate that I can't see if the stuff on the bottom got mixed up or not.